Valentine’s Day is hands down my favorite holiday. I can’t get enough of all the pink and hearts! Every year I surprise the girls with some Valentine’s Day gifts along with balloons and flowers at breakfast. Here’s what I have my eye on for them this year! 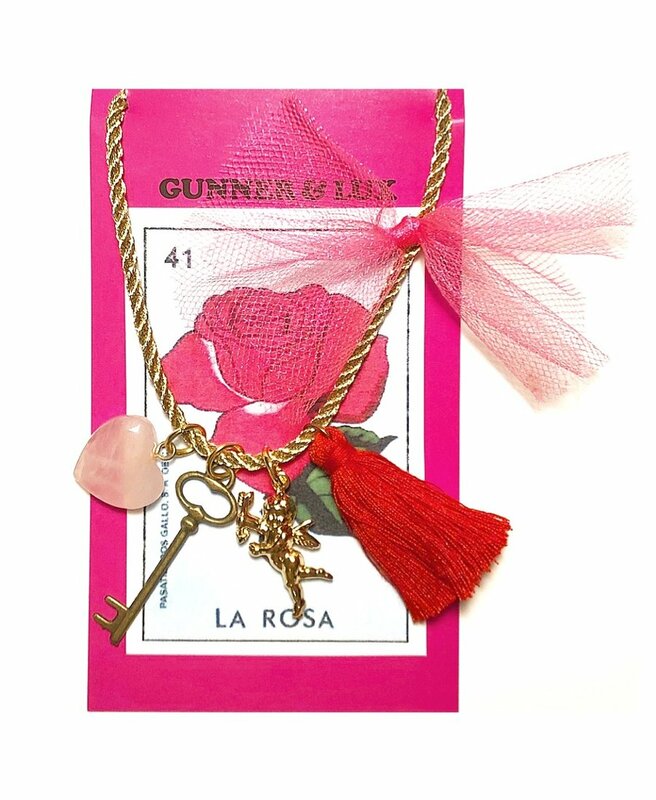 I love all the necklaces from this father daughter team especially this one made with real rose quartz! Is it just my girls who love to stuff little purses with crystals, lip glosses and other treasures? These sweet clips will look adorable holding back Portia’s “bangs” that we are trying to grow out! I loved a holiday themed nightgown and this embroidered one is beyond sweet. Bonus, there is a matching mommy version I got myself! I always like to include a new snuggly friend in their Valentine’s gifts like this sweet ballerina! These blankets are perfect for couch snuggles and Disney movie watching! My favorite headbands now come in a mini version! I can’t wait for some serious twinning with the girls in these!